This section used to be about a reality check saying there is a big disconnect in what how people perceive they are prepared for retirement and the actual facts about how much they have saved. Well that is no longer a problem as the financial crisis hit full force and now we now all too well how hard it is to save for or in retirement and even to maintain what you have. Here are some of our favorite links for fixed income. For a more traditional asset allocation, see below. However as we know now, asset allocation didn't work too well in the financial crisis, everything went down. Don't all feel like to putting all our hard earned assets in a bond and forgetting about it. You feel like reducing all risks for your investments when we are nearing retirement but experts say that is not a good thing to do. If you put all your assets in bonds, treasury's or CDs then you can get a fixed rate return. But rates changes and the time when you need to roll over maternities may be the time when rates have dropped, maybe considerably. Then your returns will be much lower. Also inflation will cut into that interest you have been receiving making the purchasing power a lot lower. Some stocks in your portfolio should help you keep pace with inflation. There are many no load balanced funds like Oakmark Equity Income Fund - OAKBX and American Century Equity Income - TWEIX, that will help your portfolio keep pace with good returns while offering low risk to market declines. Also with the dropping dollar, a good idea is to put a portion of your portfolio in a hard currency fund like Mark Hard Currency Investor Shares - MERKX, a no-load mutual fund that invests in a basket of hard currencies from countries with strong monetary policies assembled to protect against the depreciation of the U.S. dollar relative to other currencies. Also keeping your portfolio well diversified with Asset Allocation is a key element in your long term success. Investing in broad categories of investments such as stocks, bonds, real estate, hard currencies, and money market funds will help you stay diversified and balance your returns to lower risks. Pick up a good book about Asset Allocation like "All About Asset Allocation" by Richard A. Ferri, CFA and this will give you everything you need to know about the subject. Keeping a balanced asset allocation is harder than it sounds. You may want to sell if the market tanks, or buy after it has done really well. An even consistent plan seems to be the best. 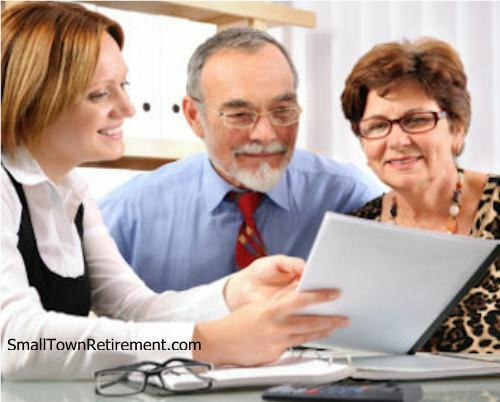 Should annuities be in your retirement plan? A new type of mutual funds are designed to help retirees draw a reliable stream of income from their investments. . These income distribution funds attempt to combine the ease of traditional mutual funds which make deposits and withdrawals relatively simple with the predictable payouts associated with a pension or an insurance-based annuity. Big investment companies such as Fidelity Investments launched its Income Replacement Funds. Russell Investments will soon introduce income distribution funds as part of its LifePoints target-date portfolios. Vanguard Group hopes to roll out its versions shortly, and still more firms, including T. Rowe Price Group, have plans in the works.